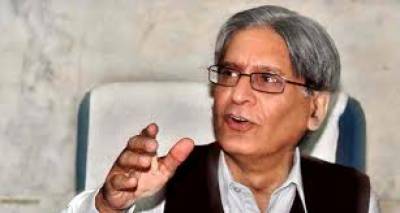 Islamabad: Pakistan People's Party Senior Leader Aitzaz Ahsan has stated that it Hussain Haqqani was a part of Pakistan Muslim League (N) team and was appointed as ambassador of Pakistan in Sri Lanka by PMLN Government. Later he was welcomed in the realm of PPP just like many other PMLN turncoats. He further said that PPP should admit that taking Hussain Haqqani in its realm was one of its mistake.